Our mission; to create the most engaging survey experience available. and a more lasting positive attitude. Adding images to your surveys makes them far more friendly and enjoyable. throughout the system making adding images to any page or as a set of answers is really simple. Impress your clients with stunning looking surveys. 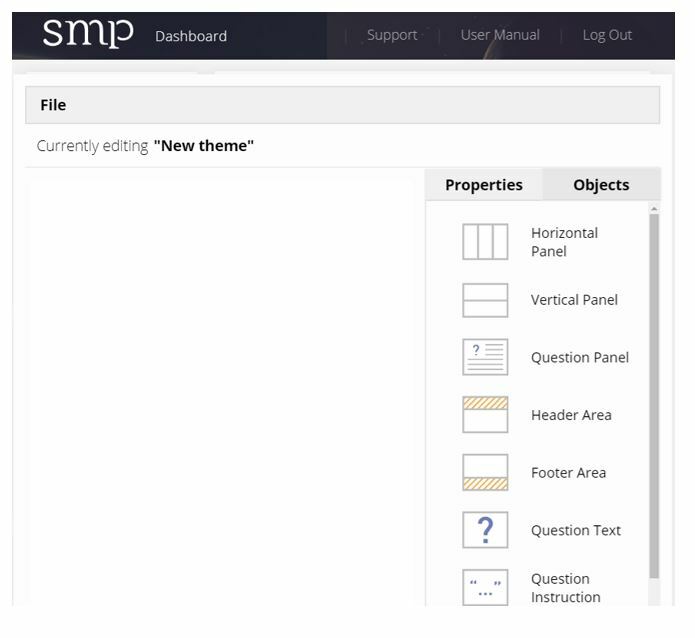 SMP’s theme editor gives you full control over every item of your surveys “look and feel”. Add headers and footers, place the question text, instruction text and answer texts anywhere you like, add images to pages, change the buttons, style and position the percentage complete bar, and much more. Its all available with the SMP theme editor. 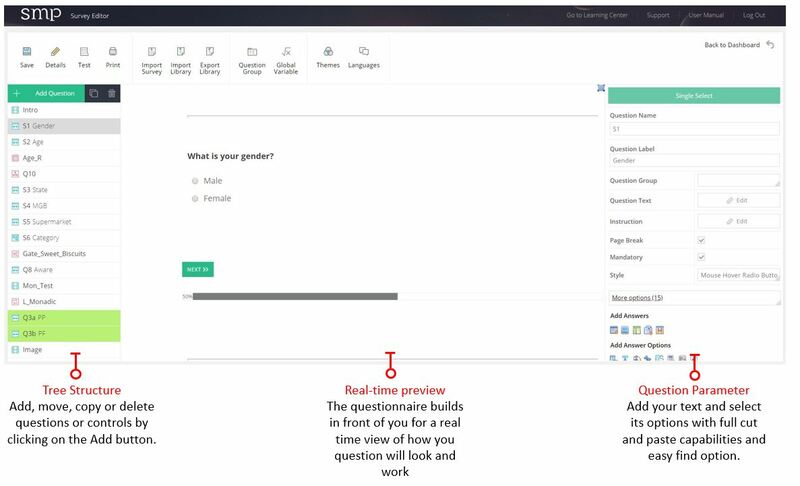 Program your surveys faster than before with our unique survey editor. SMP’s survey editor allows you to program quickly in a hierarchical fashion seeing your survey question build in front of you exactly as it will look and organised by the survey tree structure. Cut and paste from word, place your flow control types directly into the survey tree. The efficiency gains are significant. Control the survey process and save time and money by programming your own surveys. Having an in house survey scripting system frees you from someone else’s deadlines and gives you control over the process. Given that there are always changes required by the client having control means they can be done instantly without waiting in someones else’s queue.